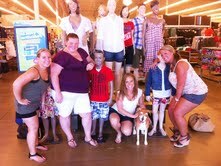 I was recently selected to participate in my 4th Old Navy Sample Share via Crowdtap! 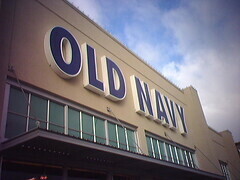 This time, I got to bring 1 friend with me to Old Navy to try on and model their Active-wear items including the Compression Tops, Jackets and Dry-Fit pants. I have always been a huge fan of Old Navy’s Active-wear line and I love to work out, so this was a “Win Win!” I selected black cropped dry-fit pants with a bright pink stripe down the side, along with a long-sleeved black compression top with cute little zip pockets. Jennie selected black dry-fit pants with a cute, fitted zip up jacket. 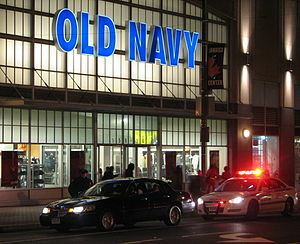 We are officially ready for some cold weather and to hit the gym in style thanks to Old Navy and Crowdtap! NYCTweetUp 2010 ~ View Official Event Slide Show! Click on the Times Square Picture to View the Slideshow! You can also view the slide show at NYCTWeetUp! Featuring Menu & Venue: The Disney Dining Experience with Orlando Guru! Click on the banner to visit Cosmic Reid’s site! Click the arrow to listen to the show live! You asked for it: The Disney Dining Experience! Disney fans, beginning August 23, Kim from OrlandoGuru.Wordpress.com and @OrlandoGuru on Twitter dishes out GREAT Disney dining advice! And if you happen to miss an episode, or want to know her Disney dining opinions again, check back to this page the week after the show – we’ll post Kim’s dining reviews here! Menu & Venue – The Disney Dining Experience, part of Cosmic Reid’s Starlight Cafe, debuting August 23, 2010! Click on the banner to learn more about the reviews! Click here to follow @OrlandoGuru on Twitter! Advertisers Looking for a Sponsor? Please Review my Profile! Click on the banner below to be directed to my SponsoredTweets profile or click on the link below! Become a referrer for KC Kool!